A romantic comedy with slightly more-than-typical substance, The Rewrite is an amiable-enough self-discovery story. 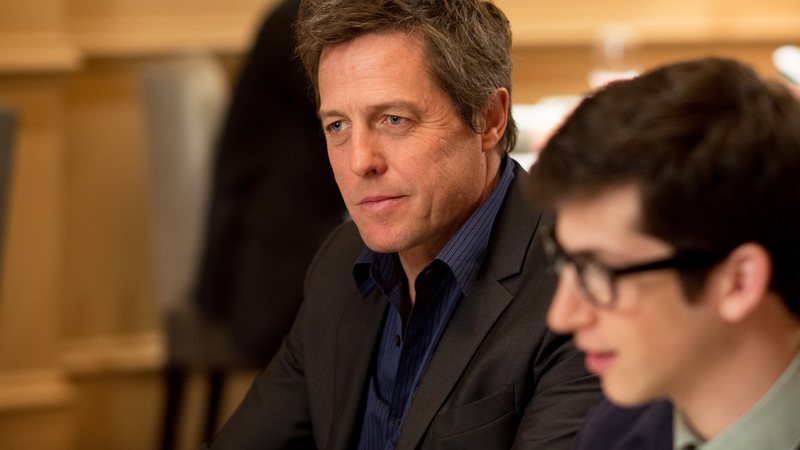 Los Angeles-based screenwriter Keith Michaels (Hugh Grant) has one big hit in his past, a movie called Paradise Misplaced. After a series of flops his agent Ellen (Caroline Aaron) suggests a change in scenery, and arranges a writer-in-residence teaching position at Binghampton University, New York. Keith accepts, intending to do as little work as possible since he believes writing is inspiration and cannot be taught. Upon arriving on campus the womanizing Keith immediately starts a relationship with student Karen (Bella Heathcote), and selects only attractive women and unattractive men to populate his class. 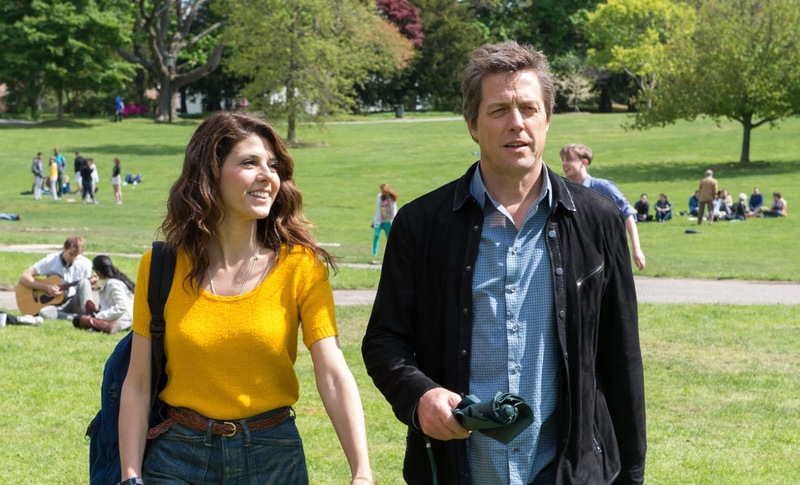 Single mom Holly (Marisa Tomei), who believes in second chances and that everyone can be taught to be better, forces her way into his class. Keith clashes with uptight professor Mary (Allison Janney), a Jane Austen specialist. As the semester progresses Keith starts to draw inspiration from his students, and awakens to a few realities about himself while a romance with Holly appears possible. Taking the man's perspective, The Rewrite focuses less on traditional romantic comedy clichés and invests more in the central character's journey. 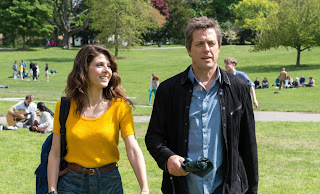 Director and writer Marc Lawrence (a Binghampton graduate) is a frequent Hugh Grant collaborator, and knows how to get the best out of his star. Keith Michaels is the prototypical Grant persona, the lovable cad everready with a quip, quintessentially English, a hopeless skirt-chaser, and riding self-depreciation all the way to the bottom. Lawrence creates fertile ground for the long journey of redemption. Binghampton represents Keith's last chance saloon, and the people he meets in his new surroundings provide the opportunity for him to either dig his hole deeper or climb out of it. His start is inauspicious, bedding Karen, insulting Mary, ignoring Holly and dismissing the value of teaching and learning. The bulk of the movie is then about Keith working his way out of the doldrums and towards some sort of awakening to rediscover his purpose, and while it's all harmless and predictable, by rom-com standards The Rewrite provides respectable lightweight entertainment. The Binghampton locations provide an attractive cerebral and calming aesthetic, while the the story demonstrates a genuine affection for teaching as a mutually fulfilling calling for teacher and students alike. In addition to Tomei and Janney, the strong supporting cast also includes J.K. Simmons as the school dean and Chris Elliott as a fellow professor and Shakespeare expert. The Rewrite does not rewrite the history of romantic comedies, but does deliver a decent chapter.